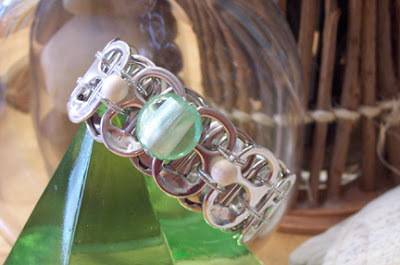 Ann-Made, LLC (Palm Bay, FL) has been enjoying great success with our environmental, eco-chic wearable art in the form of bracelets, earrings and pendants handcrafted in America from repurposed, post-consumer soda can tabs. Because these items are so unusual, eco-friendly and priced right, they also make great gifts. 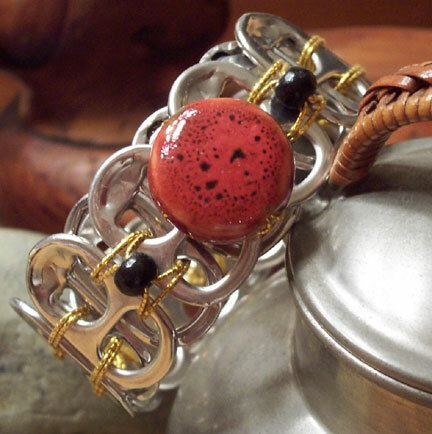 Our line is carried in over 200 shops, galleries and museums in the US, Canada and the Caribbean. 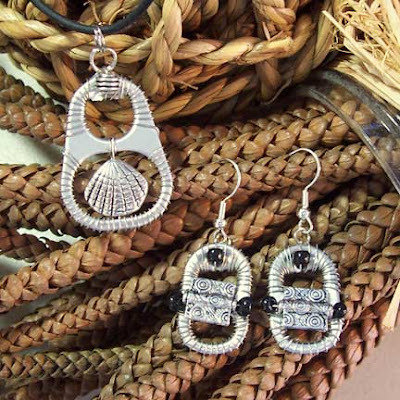 The jewelry can also be purchased through our on-line store. Not only is the jewelry very cool and quite beautiful but the mission of the company is to do as much good all around as possible. Among the things we do to achieve this goal is to purchase our tabs from local non-profit groups (paying substantially more than the aluminum recyclers to help support their causes), print all of our packaging on 100% recycled stock, cut down used (but clean) cartons to support the packaging and donate a portion of our sales to environmental causes. No "green washing" here. We are honored to carry the Green America Seal of Approval for social and environmental responsibility. We are extremely proud to have earned this endorsement after an in-depth screening process. We've also had some terrific media attention. Last year we were a guest on Fox Business Network's "Selling It". You can view the video on the home page of our web site, www.AnnMadeArt.com. Ann-Made will be featured in First Magazine for Women as well. This issue will be on the stands May 16, 2011.